we know what they did.. Presentation slides in pdf form. 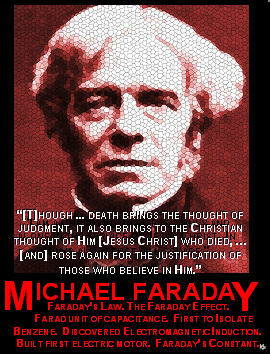 Posters with quotes from famous scientists concerning their faith in God and Christ. Larger copies of the posters can be downloaded in either MS Windows format (doc) or in pdf. The pdf is fine for printing the posters on regular sized paper. For larger printing, the doc file is best. Video: "The Impact of Christian Faith on Mathematics & Science: Yesterday & Today"